When Burlington’s nineteenth-century Gothic Revival cathedral succumbed to fire in 1972, the Roman Catholic Diocese decided to rebuild on the same downtown lot but opted for a modern appearance. Architect Edward Larrabee Barnes and landscape architect Dan Kiley collaboratively designed an ordered, geometric, Modernist landscape and edifice, dedicated in 1977. Centered within a square city block, the church and grounds are located roughly a half-mile east of Burlington Bay. 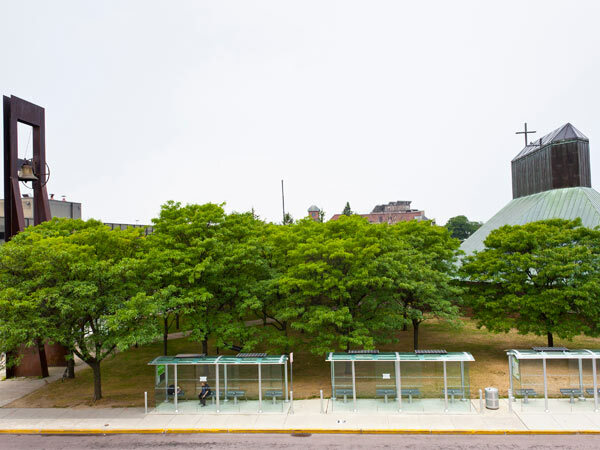 The angular, five-sided church is surrounded on three elevations by a dense bosque of honey locust trees laid on a grid, which shields the sanctuary from the city. 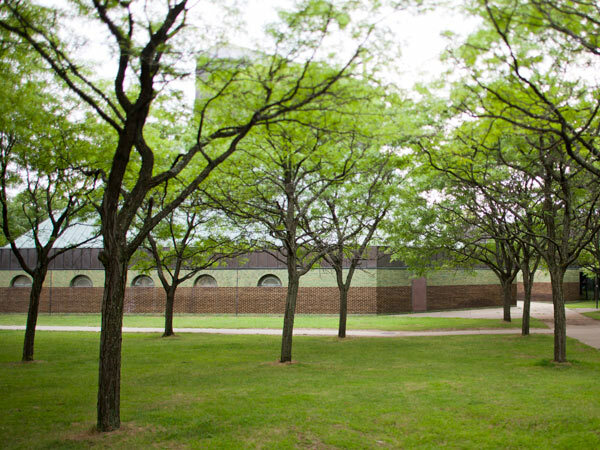 Barnes’s banded, green- and brown-glazed brick pattern echoes the colors of the enveloping deciduous trees. 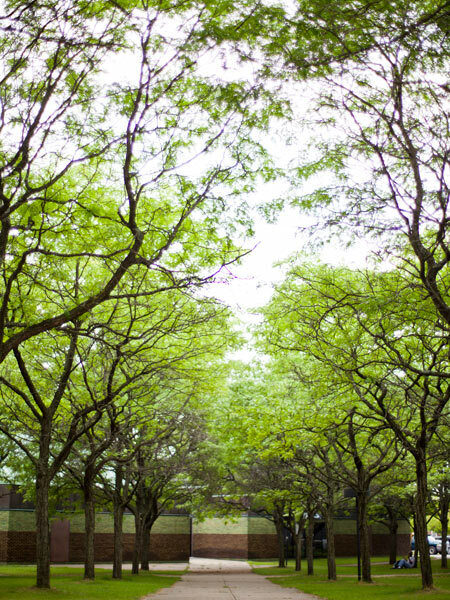 Four straight concrete paths cut diagonally through the bosque and closely-cropped lawn to provide pedestrian access to the surrounding streets. At the corner of Cherry and St. Paul Streets, the southeastern walk terminates at a freestanding steel tower which marks the location of the original campanile and contains the church’s historic bell, salvaged from the fire. The western façade opens onto an asphalt parking lot divided by a tree-lined island. 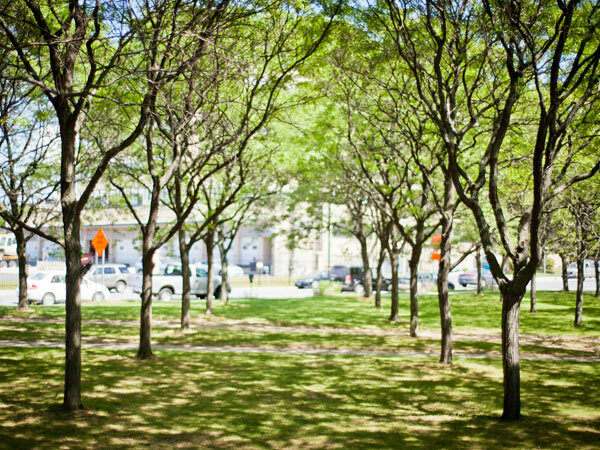 The grounds of the Cathedral of Immaculate Conception constitute one of Kiley’s only realized public works in his home state.